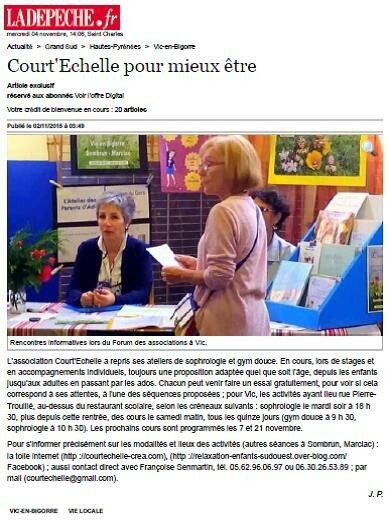 Ateliers Gym douce et Sophrologie-Relaxation en Val d'Adour - Site de courtechelle-crea ! I am extremely impressed with your writing skills and also with the layout on your blog. Is this a paid theme or did you customize it yourself? Either way keep up the excellent quality writing, it's rare to see a great blog like this one these days. Howdy, I think your site could be having internet browser compatibility problems. Whenever I take a look at your site in Safari, it looks fine however when opening in I.E., it's got some overlapping issues. I merely wanted to provide you with a quick heads up! Other than that, excellent blog!